Songwriter Niels Gedge is our guest musician for July, as the Wairarapa songwriter and fingerstyle guitarist Niels Gedge brings his finely crafted acoustic songs our way. 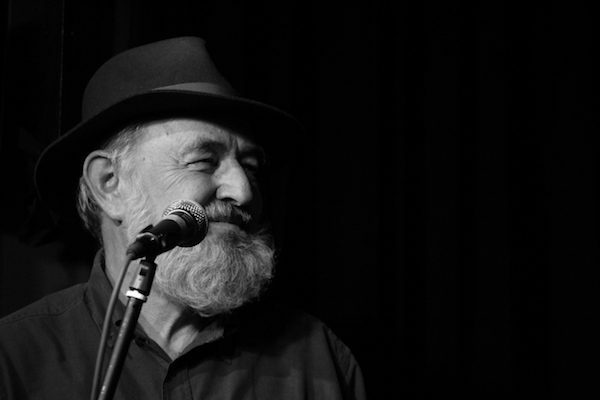 Niels is a seasoned entertainer having performed throughout New Zealand in pubs, craft breweries, cafes, acoustic music and folk clubs, cultural centres, art galleries and at festivals. He has also performed in the UK, Fiji, and France. His own songs home in on life and love and the things that matter. He also covers great songs that everyone will recognise and enjoy. Niels’ CD’s Maui’s Whale and Southern Land, will be available on the night. 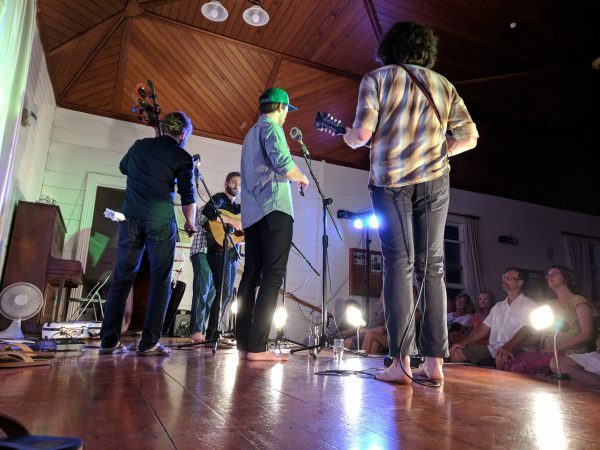 Radio NZ reviewer Nick Bollinger describes Niels’ second CD, Maui’s Whale, this way: “It’s a CD full of beautiful playing and personal yet universal songs that draw on timeless traditions of gospel, folk music and blues”. He draws on country and soul music too. Doors open 6:45pm. Email jenine@torkington.com to sign up for a first half floor spot. $10. This entry was posted in Uncategorized on July 11, 2018 by Jenine Abarbanel. Who doesn’t love a Martin Guitar? June club night is Monday the 25th. Door is $10, floor singers first half, doors open at 6:45. E-mail me to request a floor spot. This entry was posted in Uncategorized on June 19, 2018 by Jenine Abarbanel. 120 years of Whangateau Hall! Come help us celebrate at a social potluck on Friday, 22 June, 2018. Entry is free, but contributions to the hall fund are appreciated. “A most enjoyable evening was had by all.” This simple but eloquent line occured dozens of times in The Rodney and Otamatea Times describing events in the Whangateau Hall. 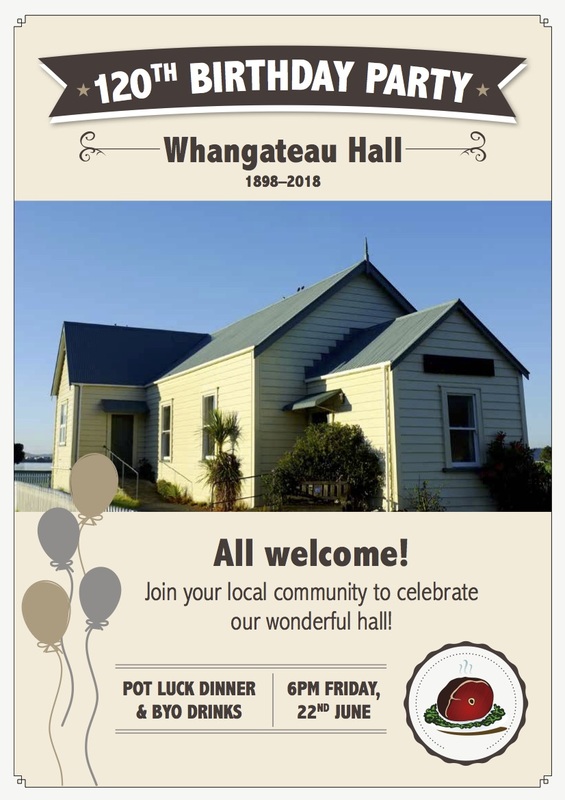 On Friday, June 22nd the local community will gather to celebrate 120 years of Whangateau Hall. The Hall was built between 1895 and 1902 by locals, with 1898 being the “official” opening. The hall has been home to dances, concerts, and many other functions. In the 1970s the Rodney County Council decided to demolish the hall. A group of passionate and active locals rallied together, obtaining a Crown protection order. The local Buffalo Lodge moved into the Hall, and its members, assisted by locals, renovated and upgraded the Hall which is now designated Category 2 by the Historic Places Trust. Some of those same campaigners will be at the birthday celebration. 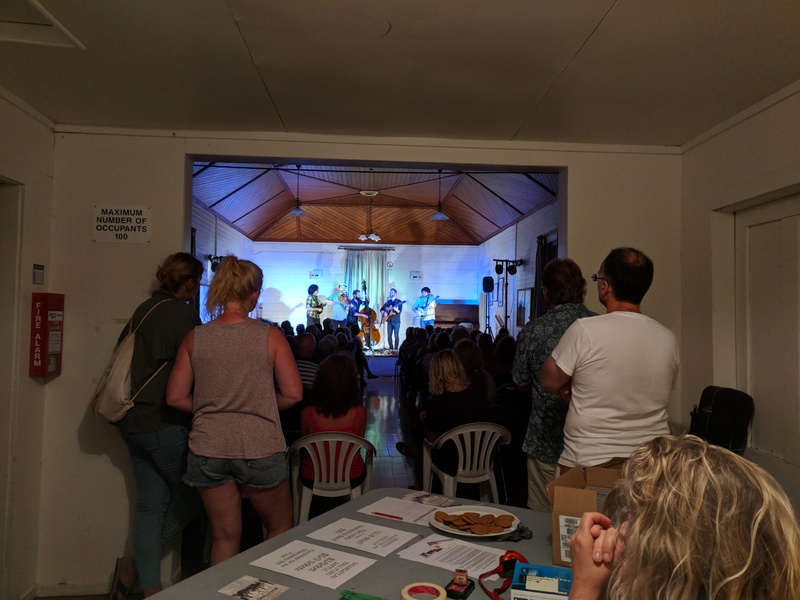 The evening is open to everyone, and is jointly hosted by the Whangateau Hall Reserve Committee and the Whangateau Residents and Ratepayers Association (WRRA). The evening is a potluck dinner, please bring a plate to share, and beverages of your choice. 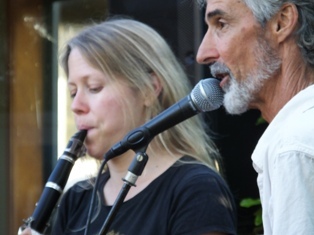 Local musicians will provide musical entertainment, and all musicians interested in performing a number or two are welcome to bring instruments and enthusiasm. There will be cake and juice, and raffles in support of a new AED for the Rodney Rams Club. This entry was posted in Uncategorized on May 24, 2018 by Jenine Abarbanel. Special Guests: Neighbouring Planets. Folk Trio from the Coromandel. With their combination of guitar, clarinet, and double bass this will be a different sort of show from what we’re used to! Neighbouring Planets play a combination of original instrumentals and classic rock covers. Doors: 6:45 pm. First half floor singers. Tea and bikkies at the break. $10. 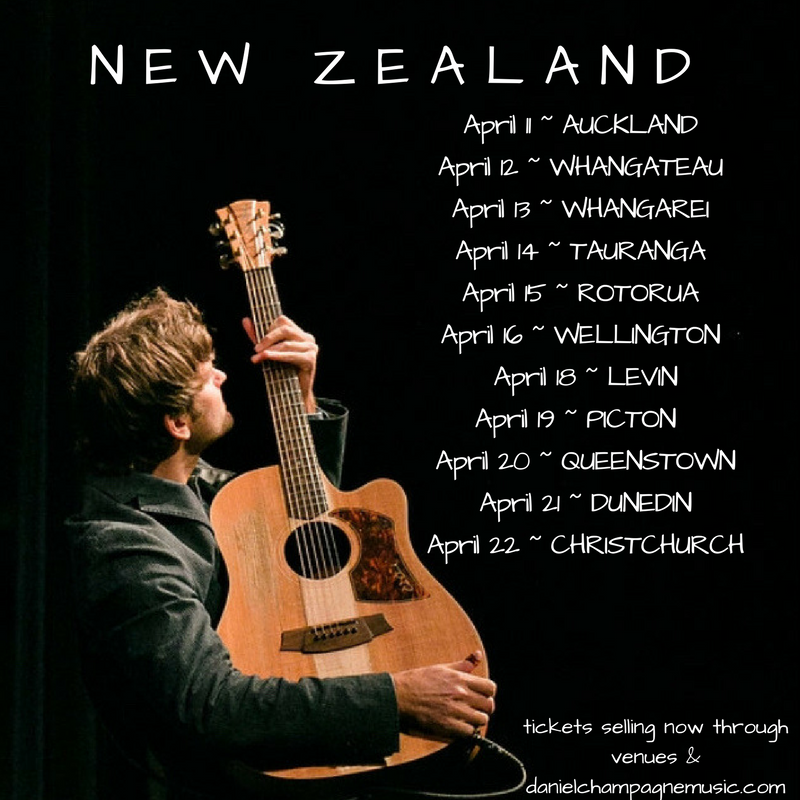 Australian Singer songwriter and guitar virtuoso Daniel Champagne will bring his Snap Shot Tour to New Zealand this April for his most extensive tour in the country to date. 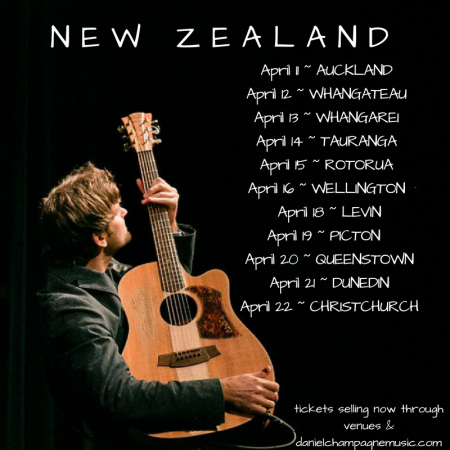 With his captivating performances, characterized by his beautiful lyrics and unique guitar style, Daniel will enchant audiences from Auckland, to Christchurch, and everywhere in between. Daniel Champagne is established as a world class and internationally renowned performer. How many Australian-born artists can spend the majority of their year touring the globe and selling out show after show in North America, Canada and Europe? And doing it tour after tour after tour? Whangateau Hall plays host to Daniel Champagne on Thursday, 12 April. 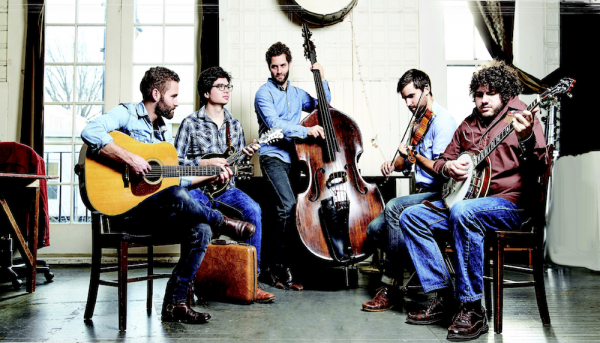 Show starts at 7:30pm with special guest local musician Oliver Bones. Tickets are $15, available at the door or through Eventbrite. This entry was posted in Uncategorized on April 9, 2018 by Jenine Abarbanel. Looks like we didn’t avoid being affected by Cyclone Gita after all. Esther Swift was trapped in Golden Bay by the storm after it washed out all the roads. Folk Club will still happen on Monday, the 26th, but with no special guest and a $5 door charge. This entry was posted in Uncategorized on February 25, 2018 by Jenine Abarbanel. 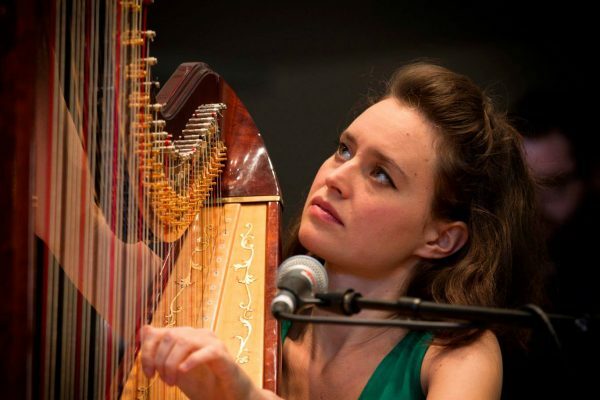 Learning from the excitement of Lonely Heartstring Symphony, we have set up bookings for Esther Swift and10 String Symphony. 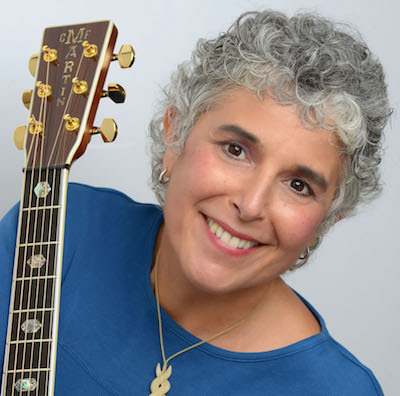 Esther Swift is our guest at our next club night, 26 February, Monday. Floor singers first half. $15, doors 6:45pm. 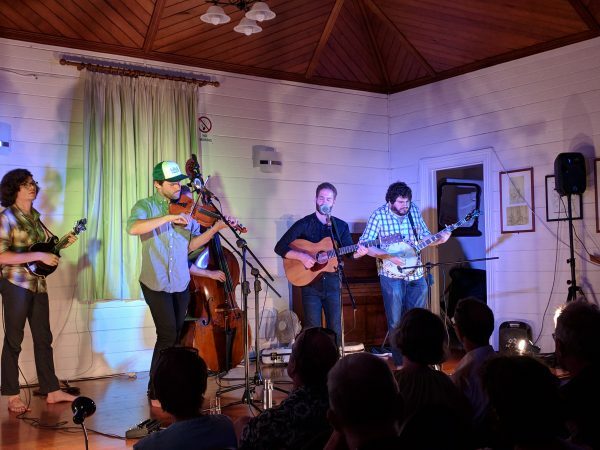 Whangateau Hall is the last stop on Esther Swift’s tour of New Zealand which has included the Auckland Folk Festival and Aongatete Folk Festival, and points all over the country. 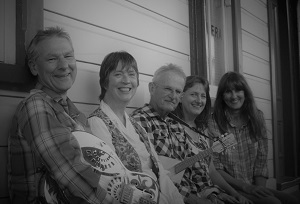 10 String Symphony will be playing a full concert with support by The Pipi Pickers on Thursday, 8 March. $15, doors 7pm. 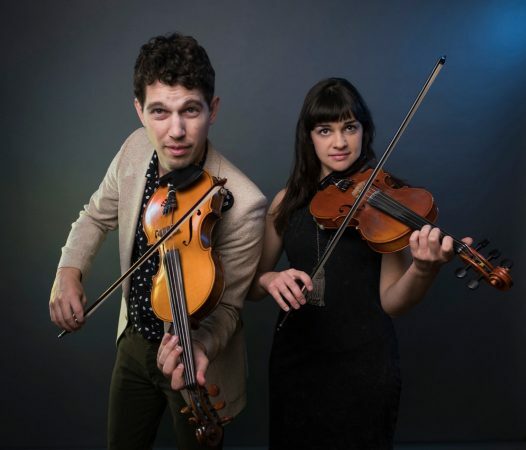 Nashville duo 10 String Symphony began as a partnership of mutual admiration­­ for Rachel Baiman and Christian Sedelmyer, two 5­string fiddle players and veteran sidemen of Nashville’s music scene. Rachel, a former Illinois state fiddle champion in the old time tradition, needed an outlet for the new sort of songs she was writing, while Christian, originally a classically trained violinist, now a current touring member of the Jerry Douglas Band, was looking to get in touch the impetuous spirit of the rock bands he played in before his arrival in Nashville. Two fiddles. Two Voices. Epic music. This entry was posted in Uncategorized on February 5, 2018 by Jenine Abarbanel. It was a stunning performance from the boys from Boston tonight. They are absolute professionals. Their surprise second show on Tuesday is now also sold out. This entry was posted in Uncategorized on January 29, 2018 by Jenine Abarbanel. This entry was posted in Uncategorized on January 27, 2018 by Jenine Abarbanel.